If you’re looking for DJ Equipment Hire Manchester and are a budding DJ or a professional artist, an established venue or a promoter short of tech for your artist’s rider, look no further than our vast range of DJ and performance equipment. We stock an impressive range of products from all major brands, with exceptional variety and quality of choice. 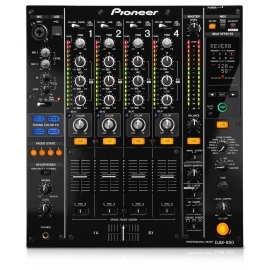 From club mixers to battle mixers, CDJs, an assortment of DJ controllers, modern live performance equipment and a variety of digital and analogue turntables you’ll be sure to find all your DJ Equipment Rental needs below. The industry-standard Xone:92 is a versatile six channel analogue mixer, renowned for its expansive, involving sound. 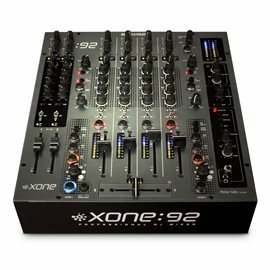 With its solid construction and easy to use interface, the 92 is on the riders of most of the world's top DJs and is a permanent fixture in the booth at many of the biggest superclubs.The Xone:92 was one of the first professional DJ mixers to incorporate MIDI for control of DJ software or external devices, and the first to include the innovative dual VCF filters. With its two stereo FX sends, twin Mic/returns, and one of the best EQ sections around, this mixer is a DJ's dream tool. The Native Instruments Traktor Kontrol S2 is ultra-intuitive, and all-in-one 2-deck DJ system for Traktor Pro 2 and Traktor DJ. Traktor Pro 2's Remix Decks allow for spectacular live remixing and re-arranging of tracks with up to 64 loops or one-shot samples per deck. Just fire up the Remix Decks and blur the boundaries between DJing and live performance. All you need to start mixing, the Kontrol S2 mkII contains the flagship Traktor Pro 2 software and a pro-grade DJ soundcard. 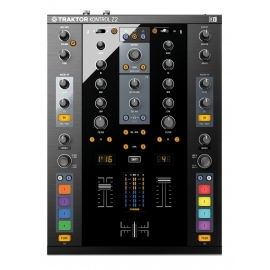 Whether you are a vinyl purist looking to expand into digital horizons, or a digital DJ looking looking to experience the traditional analogue feel of vinyl, or anything in between, the Native Instruments Traktor Kontrol Z2 is the perfect fusion of top of the range DJ mixer, premium audio interface and Traktor controller. 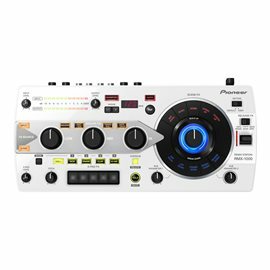 Pioneer DJ continues to make advancements in its lineup of DJ products with the launch of the DJM-850 Performance DJ mixer that brings more functionality for the growing number of DJs that utilize today's popular DJ software. 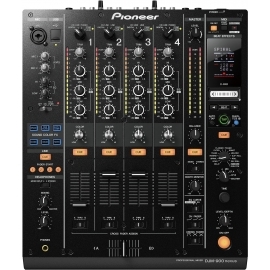 Inheriting many of the same technologies, reliability and operability of Pioneer's industry standard DJM-900nexus mixer, the DJM-850 also features a built-in high-performance USB sound card, various functions for laptop-connected DJ performances, and a unique BEAT COLOR FX function, which changes effects by linking the audio input of each channel. Offering a significant update to the highly popular DJM-800 club mixer, here's the DJM-900 nexus – the next level in creativity for the pro DJ. 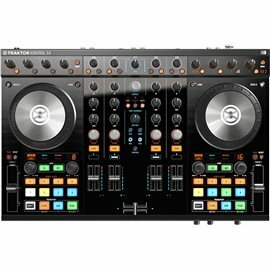 Excellent computer connectivity, up-to-date effects and high performance features and sound make this the centrepiece of any modern, professional DJ setup.The DJM-900 nexus inherits the familiar DJM-800 layout. To match, we've rearranged the connection panel to make it better and more intuitive.What's more, improved fader technology and audio circuits reduce the need for servicing and significantly increase the mixer's lifespan. 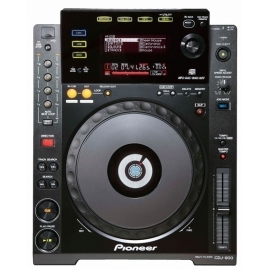 The CDJ-2000NXS2 takes all the best features from the CDJ-2000NXS but adds even more!Pioneer CDJ2000NXS2 includes a 24-bit/96kHz sound card and support for FLAC/ALAC. Selecting a track and browsing menus is exceptionally easy. The touch screen is high res allowing you better view of the multicoloured wave displays and other on screen controls. This CD deck has more detailed information for rekordbox software and instant hands on access to most of the popular features and functions. There's also a Querty keyboard and search filters to help you find songs quicker! The Pioneer CDJ900 CD Player was specifically designed for today's multi-format digital DJs, allowing them to access, search and control their content directly from the player itself. 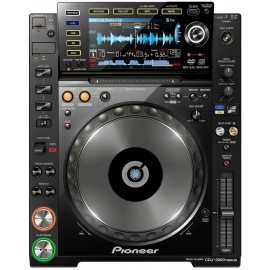 The Pioneer CDJ900 CD Player provides the same legendary quality standards and playability of the CDJ-800 with the added convenience of native playback of key DJ digital media files formats accessed via a multitude of compatible medium - CD, Portable hard drive/flash media devices. 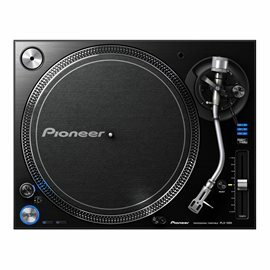 Marking the launch of 20 years in the DJ industry, Pioneer have released the Pioneer PLX-1000 professional turntable. The PLX-1000 has been engineered with precision for the booth drawing on their 50 years experience of making professional high end decks. The result is a traditional, familiar layout with some cool next gen improvements like a high torque direct drive system, multi pitch control, club grade build and quality plus detachable audio and power cables. 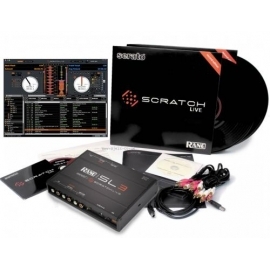 The RANE Serato SL3 Scratch Live 3 Realtime Mixing Platform connects one or two standard vinyl or CD turntables to your computer and the mixer of your choice. 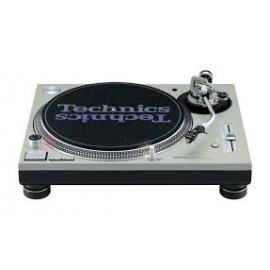 Using regular turntables or CD players, you can scratch and mix files from your Mac or Windows computer’s CD or hard drive. Features a heavy-duty design, vibration-resistant construction and mechanical precision. This deck was the first to feature a Direct Drive motor, quartz movement for total accuracy, adjustable tone arm weights, anti-skate control, a pop-up target light and a sliding pitch control. With each new improvement, as form follows function, the Technics turntable has become a thing of beauty. 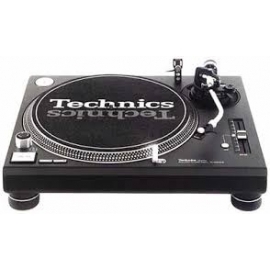 From the community centres at the beginning of the disco era to the clubs of today, Technics decks have been the standard for over thirty years.